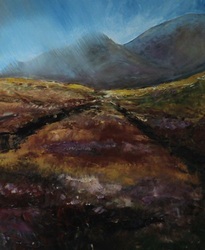 Pamela Manson studied Art in the University of Ulster in the late 60s and early 70s. 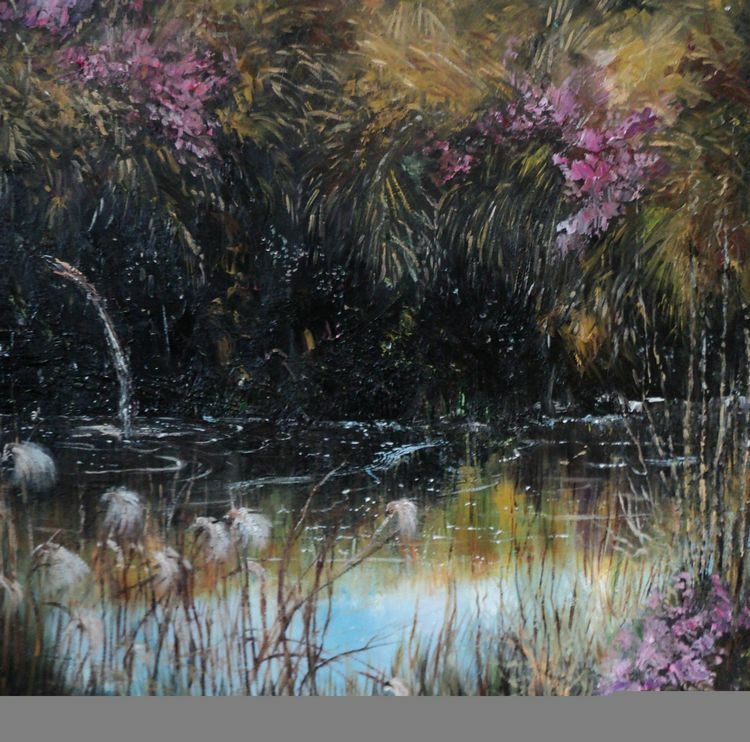 She took her degree in Sculpture and then went on to teach Art and Design for the next 32 years. 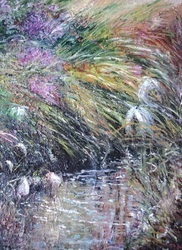 She headed up an art department which won many awards and was one of the most successful in Northern Ireland. 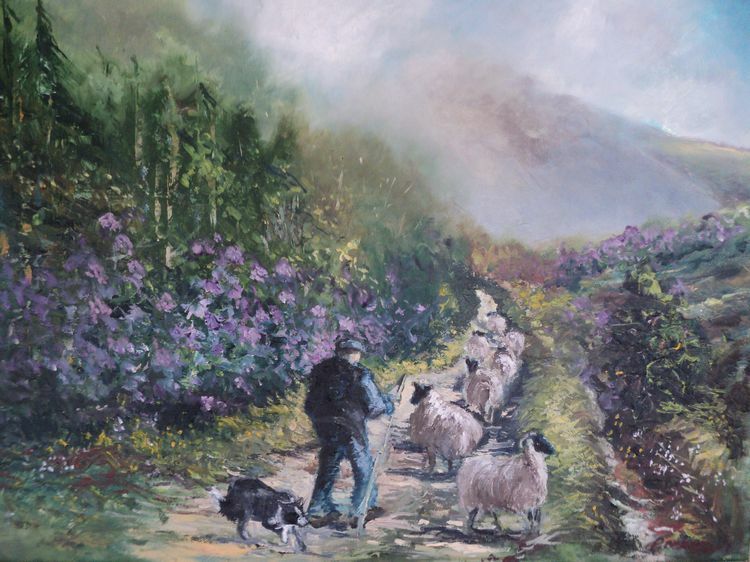 On retiring she moved to Carrick in South Donegal to fulfill a lifetime ambition to paint professionally. 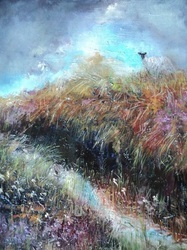 She is inspired by the boglands of the area and this is reflected in the work which she does. 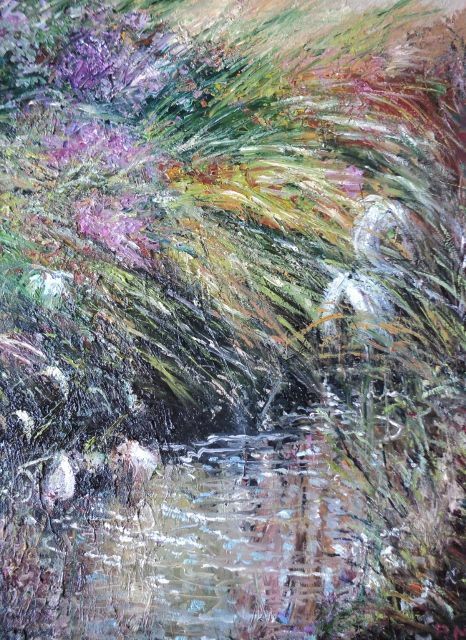 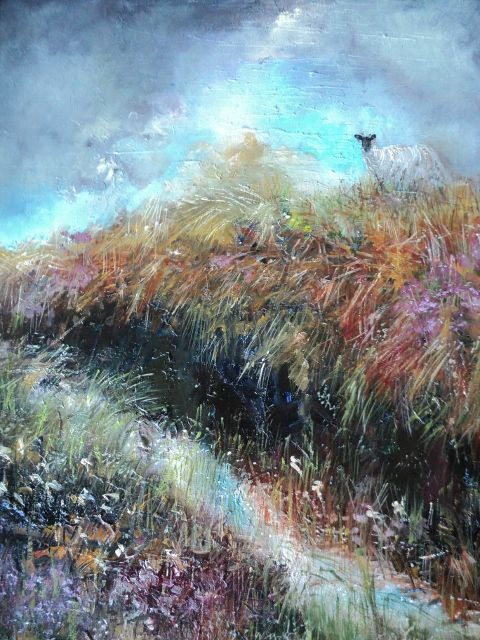 Her paintings are executed in oils on canvas and are a rich impasto of ochres, and browns and golds which reflect the amazing beauty of Co. Donegal. 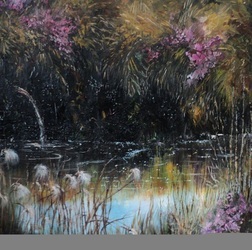 Her work is found in private collections in Switzerland, Dubai, America and Australia. 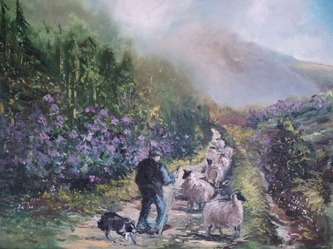 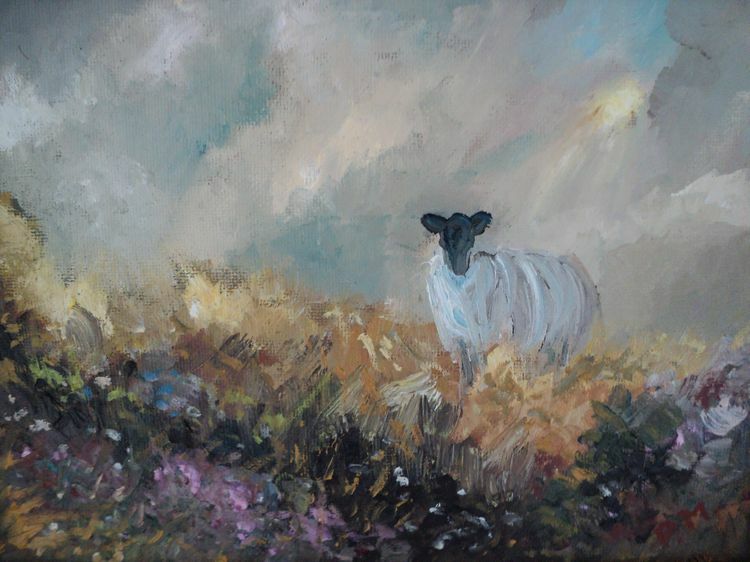 She has had a very successful one woman show this year in Ross Fine Art Letterkenny, and has exhibited in the Arts Society of Ulster annual show at the Waterfront Hall Belfast.